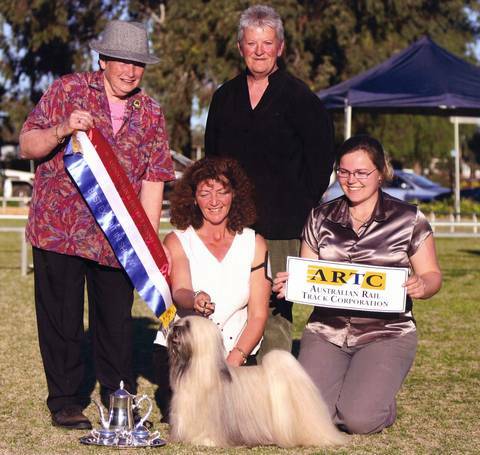 Loving home to Aust Supreme Champion Nahemja Odo Hirsch - "Jordan" and Aust Supreme Champion English Champion Kutani Secret Agent (Imp UK) - "James"
We are quiet achievers doing extremely well in the show ring and we are very proud of our dogs achievements. We are very selective of what blood lines we use to eliminate any bad traits there may be and only produce a litter on the rare occasion. So we hope you enjoy your visit. Feel free to have a look around and please sign our guest book so we know you have visited!